Can public transport save households money? People sometimes argue that we should provide more public transport because it will reduce households’ transport costs. But is that actually true? …housing costs tend to fall with increasing distance from city centres, while commute distances, which drive variable transport costs, tend to increase. All other things being equal, higher rates of public transport use did not appear to improve transport affordability due to the fact that New Zealand’s public transport fares are comparable to or higher than car operating costs. However, car commuting is likely to be more costly in areas where parking is priced – a factor that we were not able to robustly estimate. Car ownership rates, which drive a large share of transport costs, tend to be fairly consistent outside of city centres. One of the benefits of providing public transport and walking and cycling infrastructure is that it enables households to reduce car ownership costs. Conversely, policies such as minimum parking regulations tend to encourage higher rates of car ownership by ensuring abundant and low-priced parking. Time for some maths. According to data from AA’s 2013 Petrol Car Operating Cost Report, a compact car costs approximately $0.25 per kilometre to run. This figure includes the cost of petrol, oil, tyres, and regular repairs and maintenance, but excludes the cost to own the car. As a result, I’d expect to spend around $6.45 per day commuting by car (12.9km x $0.25/km x 2). As I use a HOP card, which offers discounts on the cash fares and also a $0.50 discount if you transfer between services, the entire trip costs me $4.05 – or $8.10 per day to commute in both directions. So far, driving is coming out ahead – the costs to operate a car are a bit cheaper than the cost of bus fares. But wait: we’ve forgotten to account for parking costs! Wilsons operates the closest parking garage on The Strand in Takapuna. They charge $11 for all-day parking. If I pay them for parking – and I don’t have many other options in the area – that means that a car commute now costs $17.45 ($6.45 + $11). That’s over twice as expensive as taking the bus! And we haven’t yet accounted for one of the big costs of driving to work – the fixed costs of car ownership. Based on data from the AA’s Petrol Car Operating Cost Report and the Ministry of Transport’s data on the NZ vehicle fleet, I estimated that it costs around $2,900 per annum to own an average car (i.e. not a new car). This includes the cost of registration ($288), insurance ($790), and warrant of fitness ($49, twice a year), as well as the interest payments and depreciation on the car itself (assuming that the average car is worth around $8,000). $2,900 per car per year is obviously quite a big cost for most households, and I’m sure a lot of people would rather save the money and spend it on other things. Abundant public transport and walking and cycling options can give households the option to downsize on car ownership and save thousands annually. Here’s a summary of my calculations. As you can see, by taking public transport rather than driving I save $9.35 every day I commute to work. Over the entire working year, this adds up to a lot of money – over $2,300! And by choosing to take the bus and not to own a car, I save even more money – over $5,200 every year in total. If I choose to save that money instead, it will add up to a large sum of money over time. According to Sorted.org.nz’s savings calculator, if I put an additional $5,200 in my Kiwisaver account every year and get a modest 6% return, I’ll have more than $200,000 in retirement savings after thirty years – which is enough to let me retire three or four years early. In other words, our driving habit is literally squandering our lives. Sell your car and retire early! Distortions in one market (parking) can affect outcomes in an adjacent market (public transport). When parking is available for free, it makes taking the bus or train much less attractive from a financial perspective. This in turn makes PT seem less viable than it would be if parking wasn’t heavily subsidised. And it’s simply unrealistic to expect parking to be free – space is expensive in cities! Councils have in the past regulated for an oversupply of parking by setting highly prescriptive minimum parking rules. In addition to forcing property owners to pay for supplying too much parking, this makes it impossible for people and businesses to price parking to reflect the true cost of providing it. This is insane, and we need to stop doing it. While public transport can save households money on a day-to-day basis, the big gains arise when people cut back on car ownership. Transport and urban planning can enable households to make this choice – or prevent them from doing so. When councils choose to put in new PT services or infrastructure, they should always ask: what do we need to do to turn a neighbourhood with a frequent bus route into a neighbourhood where you don’t need to drive for daily necessities? Neighbourhoods need to pass the “five minute pint test“: can you get a pint of beer or a pint of milk within a five minute walk? So, what would you do with an extra $5,200 in your pocket every year? Down in Hamilton we came to a similar conclusion – that the parking costs were the crucial factor as to whether public transport (buses in our case) was competitive with car ownership. The policy would need to be backed up by strong leadership concerning the management of roads. Otherwise developers will just assume parking can happen within the road reserve when there are far better uses of the space. Good stuff. Many people might argue that car ownership cost savings are a red herring because, even if they regularly used PT, they would still probably own a car for other trips or the “just in case” factor. Ignoring the potential of subscribing to ZipCar and the like instead for now, I think the more productive argument is when you start talking about a household getting rid of the SECOND car (or third…). Now you still have a “car backup”, but you will be less likely to fall into the easy trap of using it as the default mode, AND you’re making the savings of that extra car ownership. Glen, do you have any reliable figures for bike running costs? One also needs to factor in security, wet weather gear, etc. We came up with a conservative figure of $815 per year, but in reality it’s probably substantially cheaper for most people. As James has mentioned below all of these bike costs will be different based on the individual. In my case I bought a brand new bike 4 years ago for $350 and have also paid $50 for helmet, $50 for usb rechargeable lights, $20 pump and had to pay $150 for new bottom bracket, servicing plus say $30 lube/puncture repair kit etc so in my case $650 over 4 years. I will need new tyres soon – but I save $80 a week on bus fare – so all happy pedalling. It does depend a little on how you look after your bike etc., but over time, I’ve become convinced that while great, biking isn’t as cheap as I’d thought. I live up a big hill (not in Auckland), and that equates to a new pair of brakepads every year on top of ‘regular’ maintenance costs. I’d say somewhere between $5-800 is probably a good number. Excellent point on the value coming from the option to downsize from two cars to one… I should have made that point a bit more clearly! Well that sunk costs argument goes both ways doesn’t it? Sure most Aucklanders have a car regardless for all sorts of uses, with the associated sunk costs, so driving to work is only a marginal cost. But what if we are talking about that second car for the household just to get somebody to work? There it’s the reverse, paying the entire costs for a whole second vehicle when all you are after is the marginal gains of only getting to work in it. Because I cycle and ferry to work, my family can easily get by on one car. That is a massive saving for us. When I see people in my area driving short distances (sometimes 500m – really) to the ferry, it just amazes me. Unless they have money to burn that car is seriously damaging their finances. a good conversation starter peter. Of course a credible economist would know that. I guess two problems with that statement, “credible”, and “economist”. It does depend on the nature of your options. Perhaps it is faster to travel contra-flow by car than bus to Takapuna. But from where I live (New Lynn), its faster to take the bike (preference) or train (wet weather option) than my car during rush hour, hands down. Plus I combine commute with exercise on my bike and commute with work on the train which must be of some $$ benefit. No chance of that in my car. Of course, I’m not an economist, just a commuter. I have a colleague doing this commutes, takes her 40 minutes in the car would probably be an hour at the maximum on the bus so it’s only 40 minutes difference everyday, and time on PT isn’t time lost in the same way driving is. I for example read on the bus and would massively prefer 1 hour on a bus to 40 minutes in a car. Also, a vehicle is only a sunk cost if you have to buy it. If it isn’t necessary for everyone in a house to drive to work the household is likely to need fewer cars, and if you simply shoose not to own a car at all it definitely isn’t a sunk cost. 1. As many commentators have noted, people value travel time differently, and as a result it’s not possible to ascribe a single value to it. 2. While I earn enough to not have to worry about spending an extra $9.35 a day, that’s not true for many Aucklanders. I don’t think it’s acceptable to just say “it costs more to drive and own a car, but that’s OK because wealthy Aucklanders value their time highly.” A lot of people living here would prefer the cash in hand, and transport policy should recognise and respond to that. That being said, if you look at my response to SeanExile below, I’ve had a go at valuing the travel time savings using NZTA’s recommended methodology. “So, what would you do with an extra $5,200 in your pocket every year?” That is easy. I would buy a small car and spend $11 every day on parking so that I didnt have to use a bus. Thank you for informing me that people have different preferences about how to spend their time and money. I had completely failed to notice that, which is why I’m always so surprised when I go to the supermarket and discover that they stock more than one kind of peanut butter. Now that you mention it, this whole “heterogeneous preferences” thing could be a really powerful way to think about transport markets. Perhaps, if people have different preferences, it might be really beneficial to provide them with a range of transport choices. Perhaps, in addition to its extensive provision of motorways and parking lots, Auckland should think about giving people the choice to take the bus, or a rapid transit service, or even ride a bike on a protected cycle lane. You’ve really given me a lot to think about! Choice is a wonderful thing Peter. Pity the people who wrote the PAUP thought maximum parking rates would be a good thing for Takapuna. I predict that if that survives the process then most new offices will be built outside town centres where developers can provide the parking they want but where workers will have no choice but to drive. Aint rules great! I can’t see a strong rationale for either parking minimums _or_ maximums. However, the empirical evidence suggests that minimums tend to be much more binding on development (and hence much more economically deleterious) than maximums. I think you are probably overestimating demand for parking. No question about it – our household needed 2-4 cars in a provincial city. Now living in Newmarket and only have one car, which is only used on weekends and the odd trip to the airport. Except that those aren’t [roblems to do with public transport, they are to do with BAD public transport. For example, if your bus runs every ten minutes and you are 5 minutes late for the normal bus you are only 10 minutes late for work. A bus does not mean waiting in the rain, a rubbish bus stop does. True, but we can only use what we are offered, and there is little change planned in the next 1-2 years. When people do turn to PT the service is over loaded and AT do nothing until the volume of complaints gets too load to ignore, then promise to “talk to the bus company”. Why would you want to change form a service that you have some control over to one is verging on overload? So you’re saying nobody uses PT because it’s too crowded? Nothing except the introduction of regionwide integrated fares, a regionwide frequent service system, introduction of electric trains and huge increases to rail frequency along with the construction of major interchhanges. For many it’s simply inertia. Why do people not swap banks or power companies, even when the government even pays big bucks to advertise that it’s in their interest. Fear of the unknown grips many, and we’re all pretty much lazy at heart. The point is that if better PT is provided more people will use it and fewer cars will be needed. This is why is large cities overseas the rate of car ownership is very low. Fast frequent PT on its own corridors (rail and busways) also saves time, so it’s win-win for everybody. Of course Auckland is not there yet, but is getting there and very quickly will see massive changes in the way people get around the city. This is apparent even within NZ. Wellington, which is smaller than Auckland but of a similar density, has a lower average car ownership rate. From memory, the average Auckland household owns 1.8 cars while the average Wellington household only has 1.5. That difference, which is partly a result of Wellington’s better PT network, means a lower financial burden for many households. Some folks who hang around here would simply say that you’ve lost those 3-4 “Early retirement” years already in “wasted time” while waiting for, and riding on the PT getting to and from your work over those 30 years. So all you’ve done is “timeshifted” 3-4 years of your young to middle aged life into your retirement years. If you’d driven the whole time, you’d have had 3-4 more years worth of time (at home or at work) already. Now I’d not agree with that assertion, but seriously what of the time comparison between driving and using PT for your example? Is the bus (and the walk in the middle) shorter than driving the distance, including the hassle of parking the car and walking from/to the parking building in Takapuna)? I excluded travel time from the analysis due to the fact that it’s a more subjective measure, but based on the NZTA’s methodology for valuing it, it doesn’t appear to outweigh the financial savings. See my response to SeanExile below. Just think how much extra you could save if skypath was a reality. For myself I have cycled for the last six years covering over 50,000kms. I estimate that it costs me about $300=00 a year in expenses. An additional factor is how people value their time. While sitting in traffic seems like a lousy way to spend a day to me or other readers, some – many – drivers see that as down time, i.e., not a work, not putting up with the kids. Of course it’s unproductive time while time on a bus or train can be used without endangering anyone’s lives. Transport costs – including travel time – are not given enough consideration in the affordable housing discussion. Lots of things conspire to make housing costs rise – meaning the cost incurred by living in a particular place, not the cost of the house – and transport is surely one that must be factored in. While it’s not the question I was asking in this post, I definitely agree that travel time needs to be considered in location decisions. That’s one of the reason why further greenfield development is an unattractive option for Auckland. Census data (analysed by the Ministry of Transport – see link below) shows that the further you live out of town, the longer your commute is, on average. The solution to this issue is, basically, to have land use policies that enable intensification in areas that are accessible to jobs. While i agree on car costing more and I want better public transport I am not impressed with the analysis here and these kind of analysis reduces the credibility that we should have on a site as important as this. I must say that the example is biased and not grounded in relaity. I did the same commute for 5 years. Mt Eden to Takapuna. I parked two streets from Hurstmere (towards the lake) for free. That includes then includes 5 minute walk down to Takapuna City. With that said, when i took the car the exact same distance it took 35 minutes. (if no uni or school it took less) Thats because I drove against traffic and the only issue was really Mt Eden Village Centre. When I took the bus I allocated 50 minutes plus a 5 minute walk to and from the bus. Thats 40 minutes extra per day compared to the car and since this analysis here lacks a calculation on the opportunity cost on time Id say its biased and made to prove a point and not to be objective. 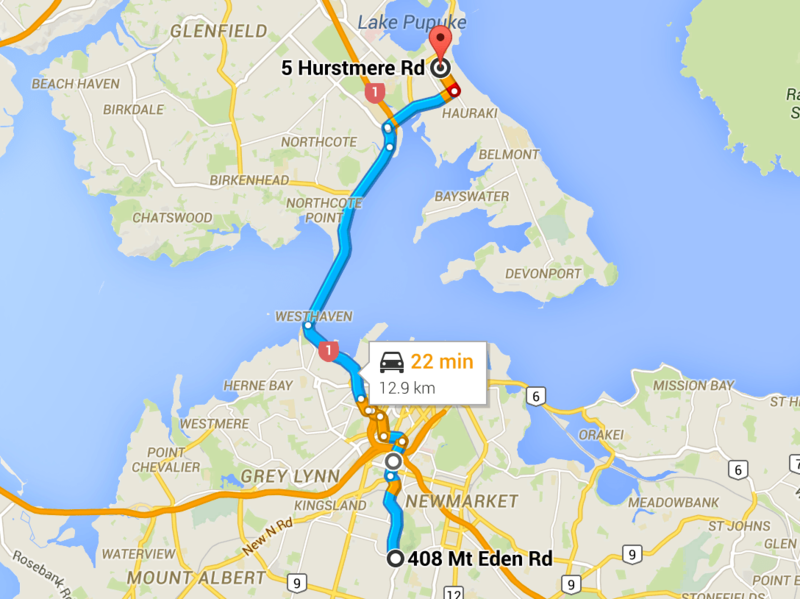 Adding the oppurtunity cost for time and id say a car comes out ahead by some distance between Mt Eden and Takapuna. I disagree with one more thing. The fast walk down the hill to change bus. It a 5 minute walk. downhill. In the opposite direction its a 10 minute walk uphill. Steep uphill. Thats also missing from this so called analysis. Thats a barrier that discourages quite a fair number of people from making this trip. If we add in rainy and windy days that number increases even more. This is a testimony to whats missing in Aucklands public transport. A seamless change station thts easily accessible where crosstown routes meet. That fast 5 minute walk between buses are for young and agile. Not for elderly, not for those with kids and not for those that dont like walking up a rather steep hill which offers little protection from the weather. And unfortunately thats enough to put off quite a,oot of people from making that connection and if they dont jump off the bus there and walk down the hill they follow the bus to downtown past Unis etc on Symonds street. That adds how much time? With that said, public transport can be cheaper. Unfortunately at present it isn’t for many routes in Auckland and despite the last decade when good work has gone into Aucklands public transport system we still have a fair bit to go to make public transport best and most economical choice for Aucklanders. Something I think this example clearly shows. With this example showing a 1 hour ride on Auckland transport website in peak hours (which we assume is valid for most) compared to the cars 35 minutes I struggle to see the savings that this article portrays. And this critique comes from someone who is a big supporter of public transport, who tries to avoid using the car and who in most peoples eyes have a bias for public transport. remember objectivity and use multiple lenses to study a phenomenon not just your own coloured lens. The parking up by the lake is ime limited or pay and display now. You could not park there for free. Also, the walk up the hill is 350m, if that takes you ten minutes uphill then you should see a doctor. You could equally get off of the takapuna bus on Albert St walk 150m through the downtown mall and get on the Mt Eden bus right in front of the train station. I don’t think that quibbles over the precise cost of parking in Takapuna invalidate the point that I’m making. Regardless of whether parking costs $8 or $11, the fact is that if you have to pay for it, driving is less affordable. Travel time is a separate issue to the financial costs. I didn’t account for it in this analysis due to the fact that different people value their travel time in different ways. For example, I don’t mind spending a bit of extra time on the bus every day, because I use the time to read. It’s not wasted time to me, while time spent driving tends to frustrate me. Other people see things differently, of course. However, let’s assume for a moment that we could place an objective value on time spent commuting. NZTA’s view, expressed in its Economic Evaluation Manual (http://www.nzta.govt.nz/resources/economic-evaluation-manual/economic-evaluation-manual/), is that time spent commuting is worth $7.80/hr in 2002 dollars, which, adjusted to today’s values, is equal to $10.90/hr. Taking the bus to Takapuna is about 20 minutes longer than driving there. So according to NZTA, commuting by bus would have a time cost of 40/60 * $10.90 = $6.70. This is less than my estimated financial saving of $9.35 per day, meaning that the average Aucklander could still come out ahead by taking the bus. You’ve also assumed a single occupant vehicle. Agree that PT is cheaper for one person, but two people (say my wife & I who work in the same area) the scales are tipped in favour of driving. My commute is 20.9km plus $8 for parking. Cost is $18.45. Versus 2x $6 train tickets = $12. But factor in a full fare paying passenger, the cost of the train outweighs the cost of the car trip. Maximum cost for rail tickets would actually be $9.50 per person per day assuming that you only take the train to work on 20 workdays in a month, and never make any other trips using a $190 a month HOP pass, so for you and your wife it is cheaper to catch the train. Cost is only one of the attribute people look at. There are also time saving, reliability, safety, convenience, and walking in bad weather conditions. Hopefully PT will improve on the weakness to match the convenience and speed of car. For example, higher frequency, higher speed, less walking distance to bus stop, timetable reliability, sheltered and safe walking path, low cost, longer operation hours etc. Definitely agree! I think that there’s a lot of potential to improve Auckland’s public transport network by doing the kinds of things you suggest. Fortunately, AT’s rollout of the New Network will go a long way towards providing better PT in some underserved areas of the city. We need a system like Manchester has rolled out in the last 6 or so years, puts our efforts to shame, and they’ve only spent about 550m Pounds doing it. They opened their Airport LRT line over 1 year early. Fortunately they weren’t stupid enough to remove the designations on the corridors when the railways were closed in the 60’s. But I do like the look of the LRT system they are building. Goes where the people are, makes it a no brainer to use. Am I correct that your cost comparison is between the 100% “farebox recovery” of motorist operating costs, with the 43% farebox recovery of PT operating costs? Should the comparison not also take into the account the 57% subsidy for PT? I’m not disagreeing, but its important to understand that that is the very reason why the current government hates PT, and why PT business cases need to take direct subsidy costs into account. What 100% fare box recovery for motorists. They get a 50% subsidy immediately from ratepayers, and thats not counting any further “parking” subsidy or other “corporate” tax rebates. Aren’t you referring to the urban myth that motorists pay for the roads? I said operating costs, as in running costs (which is what the article is talking abour) – the cost of running a car vs cost of bus or train. Not talking about the roads the cars and buses use, nor the tracks the trains run on. Car operating costs are 100% covered by the owner. You can’t just ignore this as Peter has done, as it is central to determining government policy when considering transport options. We need to be smart about PT proposals and make sure the figures are robust and don’t ignore direct subsidies, let alone hidden ones (which all modes have to some degree). The current government rejects PT projects on the basis of wanting to avoid ongoing direct subsidies. Therefore it is prudent to ensure your argument doesn’t ignore those direct subsidies, or it invalidates your argument. Well a single individual swapping to the bus adds zero to opex…. That 11.5km average commute is interesting. Mine is 12.2km, which takes only slightly longer on my bike than in my car. Bus is about 20 min longer, 15 min of which is on foot at the work end. Peter, first you compare the direct costs of car vs bus commuting. Fair enough. Then you factor in parking costs. Also reasonable (even if the employer provides free parking there’s a cost involved). Finally you add in the fixed cost of car ownership, assuming it’s a vehicle purchased exclusively for commuting. All good so far. But the missing component is the full cost of operating the bus service (per passenger). Do fares fully cover all operating and fixed costs? I suspect not. If not, what is the true cost? In the first comparison, does the fare at least cover the full operating costs (as for the car)? And in the third stage, where is the comparable (all-inclusive) costing for the bus? I agree with ignoring time issues, as that is subjective. Roading costs may be similar when you account for the impact (to the 4th power) of a bus vs (say) a Swift or similar, and are an externality in both cases. But even ignoring where the fixed (and/or variable) costs for the bus fall (ie if one ratepayer is subsidising another) it’s important to include all costs in the comparison, otherwise the economic analysis fails. The cost of the operating the bus is Bourne by society as this is deemed in the best interests of society. You can call this a subsidy. But Peter has also deliberately ignored the subsidy provided by this same society to motorists. Note the majority of journeys are not on State Highways (capex and opex primarily from the NLTF. Instead they are on local roads which get a 50% ratepayer subsidy. And the too are most massively not on a par! Patrick, Peter presented an economic analysis which appears to overlook an important component. For the comparison to be valid It’s necessary to capture all costs. My comment makes it abundantly clear that I’m not taking a position on the validity of subsidies or other externalities, that’s a separate discussion. Why does it matter in this case? The analysis looks at it from an individual’s personal perspective, not society as a whole. The whole “roads pay for themselves and public transport doesn’t” trope is false for four key reasons. First, while the National Land Transport Fund has been fully hypotheticated since 2004 – meaning that all fuel taxes and road user charges go into the highways fund – a lot of NZ’s state highway network was originally built using general tax revenues. Second, local roads have always been funded in part (50+%) out of rates, which are _not_ paid by road users alone. The amount of rates I pay is completely divorced from the amount of driving I do. In fact, rate payments may have an inverse relationship to road use, as property prices are highest in the areas where people’s commute distances are shortest. Lastly, transport networks in general are invariably characterised by cross-subsidies. Just as it is legitimate to take some fuel taxes paid for travel on a high-traffic road and use it to fund maintenance on a low-traffic feeder road, it is legitimate to provide a subsidy to public transport to recognise the positive externalities for road users. When I take the bus, I am not competing with you for road space or parking spaces! * This whole question is out of scope anyway, as I’m specifically looking at financial affordability for households, rather than for funding agencies. That being said, I do have a couple of posts in the works on the costs of building roads. Peter, buses and cars use the same roads – I’m not talking about the road cost. I’m talking about the operating cost (as are you). You have compared 100% of car operating costs with 43% of bus or train running costs, and ignored the 57% direct subsidy paid to those modes for their operating cost. That is flawed in my opinion. No problem with excluding the ratepayer subsidy for roads, as that benefits both motorists and PT (bus) users. But don’t exclude 57% of the actual PT vehicle running costs, when you are comparing with 100% of car running costs. Perception is a lot of this picture. Since there is no fare box, driving is perceived as being free. “I didn’t take my wallet out of my pocket to get to work today,” whereas the fare box is the first thing you see when you get on a bus. “Public transport costs too much!” I need to think more on this, but what I think I think is that highways are an anomaly in transport funding by virtue of there being no fare box or equivalent except for toll roads which in NZ are few and far between. This distinction disadvantages public transport right from the start. When I drive my car somewhere in rush hour, I am also delaying other road users by being another vehicle on the road. I am also imposing costs of crashes, noise/vibration, vehicle emissions, etc on the rest of society too (none of which I’m directly paying for, save for a bit of ACC levy). When I choose to hop on a bus/train service (that is already running) I help free up the roads for other users and reduce all of those other societal costs. That’s a good starting point for explaining why drivers are paying 100% cost recovery while PT is subsidised by society. Peter, I’m not sure to whom you were replying re roading costs, certainly that wasn’t part of my query. I’m simply wondering what the true total fixed and variable cost of the bus trips might be, compared with that for the dedicated commuter car with a single occupant. You came up with $7263pa for the car, or $29/day for 250 days. That works out to a little over $1/km. 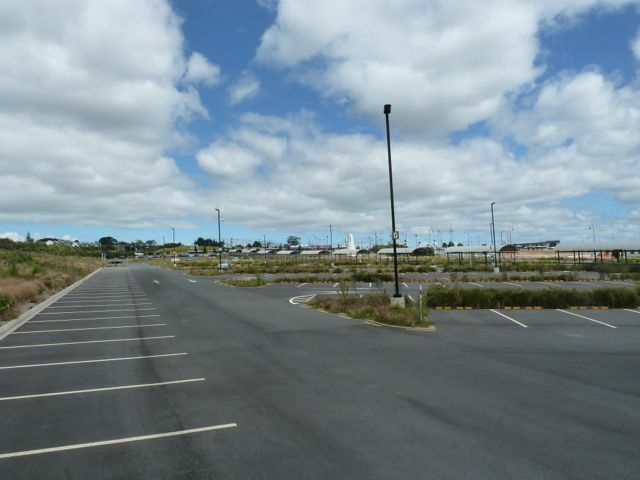 Without parking it becomes about 70c/km, which passes the sniff test (IRD allows 77c/km). But you didn’t fully cost the bus on the same basis, that’s all. Let’s say (and this is pure guesswork on my part) that the bus costs on average $20/km (total of fixed and variable costs) and carries an average of 20 passengers. If those numbers are realistic (and I don’t know whether they are) then it would also cost $1/km for each passenger. That’s the missing figure. I’m not interested at this point where those costs fall, just what they actually are in order to compare like with like. Yes, PT is great for the work/study commute. Most other times a car is needed for quality of life. Think you need to qualify this statement as only in Auckland right now. There are plenty of other places where that isn’t true. But it could mean a household can drop from 2 cars to 1, or 3 to 2. LIkewise there are other options to personal cars for those occasional trips. Taxi, CityHop, Uber. Prior to buying our 2nd car, I survived with PT and ‘allocated’ $1200 of my savings (fixed cost of registation, insurance) to taxis which enabled me a few taxi rides home a month. Agree we couldn’t have survived with no cars, but could easily survive with just 1.